Scott Dozier sits on death row in Nevada awaiting execution for the 2002 murder in a Las Vegas Strip motel of a fellow drug dealer, who was then sawed into multiple pieces, stuffed (mostly) into a suitcase and discarded. 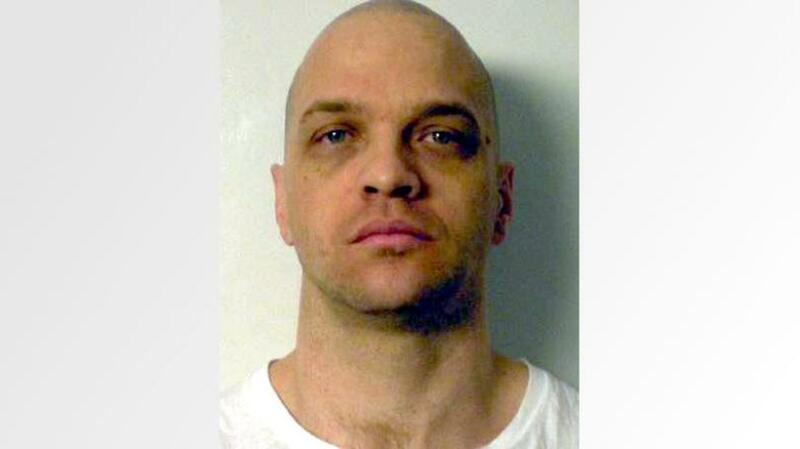 Dozier, 47, who also has been convicted of murder in Arizona, acknowledges guilt and says he wants to die. The State of Nevada is quite willing to accommodate him. But for the prescribed method of lethal injection, the Nevada Department of Corrections has proposed using a three-drug combination that has never been used before, in Nevada or elsewhere. Even though Dozier now says he doesn’t much care how he dies, the case has been bouncing around Nevada courts. One issue is whether the specific mix–the paralytic drug cisatracurium, the anti-anxiety drug diazepam and the pain reliever fentanyl–violates the Eighth Amendment prohibition against “cruel and unusual punishment,” if not for Dozier, then for future condemned inmates. Now, as someone New To Las Vegas, I think it can be fairly debated whether a thinly populated, minimal government desert state like Nevada has the expertise and competence to pull off a humane execution using an untested process, in this case the specific drug combo. But astonishingly, this wouldn’t be the first time that Nevada has ventured down this Brave New World path. You see, it was Nevada that became the first jurisdiction in the entire world to execute a condemned prisoner in a gas chamber. That was nearly a century ago in 1924. The state somewhat botched the first attempt. There are lessons here. That case was of Gee Jon, 29. 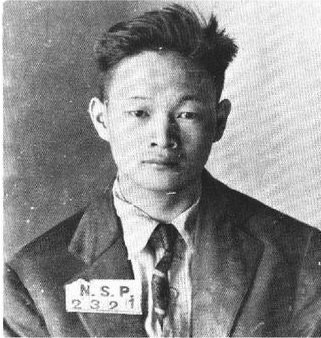 Born in China in 1895, he had emigrated in his teens to San Francisco’s Chinatown, where he eventually became a member of the Hip Sing Tong gang, whose product line was narcotics and bootleg liquor. Its principal competitor was the Bing Kong Tong gang. Both outfits sought to spread their influence across the country. Murdering rivals was one way to do that. That is apparently what brought Gee and Hughie Sing, a 19-year-old accomplice born and raised in the Nevada state capital of Carson City, to Mina, Nev., a railroad town on what is now U.S. 95 some 280 miles northwest of Las Vegas. The victim was immigrant Tom Quong Kee, a 74-year-old laundry operator and a Bing Kong Tong member. Gee, who spoke little English, and Sing, who also seemed to function as Gee’s interpreter, spent more than a week casing the tiny town. As it happened, earlier that year the Nevada legislature, at the urging of state Deputy Attorney General Frank Kern, had passed what was officially called the “Humane Execution Bill.” It replaced hanging or firing squad (the choice was up to the inmate) with execution by lethal gas. Gas had been of interest as a means of capital punishment thanks to the writings of New York City psychiatrist Allan McLean Hamilton (a grandson, by the way, of Alexander Hamilton), who argued it would be a more humane process. Hamilton suggested that a gas such as carbon monoxide could be pumped into a prisoner’s airtight cell while he slept, leading to a painless death. Nevada prison authorities instead chose hydrocyanic gas (cyanide gas), which was used to kill pests in California citrus groves. Warden Denver S. Dickerson (a former Nevada governor) sent an aide to California to buy and haul back over icy mountain roads to Nevada tanks of liquid cyanide, which would be turned into gas by an “autofumer” the state purchased for $700 (about $10,000 in 2018 dollars). But Dickerson realized that gassing Gee Jon in his cell while asleep without warning, while maybe more humane, was not practical. So according to Fatal Airs: The Deadly History and Apocalyptic Future of Lethal Gases That Threaten Our World , by Scott Christianson, the state converted an tiny old stand-alone granite prison barber shop into a gas chamber. Four prison guards quit, fearful of leaking gas. Tests were conducted on animals, including what one Chinese-language press account described as a “stray white large cat.” Federal authorities in Washington, D.C. asked for an after-action report. On the cloudy, humid morning of February 8, 1924, the 5-foot-5, 129-pound Gee was strapped into the chamber’s chair. He wept, but stopped after a prison guard shouted at him, “Brace up!” All but Gee departed, and the chamber was sealed. With 30 witnesses including reporters watching through windows, the gassing started. Predictions were that Gee would die within two minutes. But he didn’t! Thanks to a malfunctioning heater, the temperature inside the chamber was a cool 52 degrees, causing the deadly liquid to collect on the floor rather than immediately turn into deadly gas, reducing the killing power. Reporters with watches noted that it was a good 10 minutes before Gee finally was motionless. It took two hours of venting before authorities could open the chamber, remove Gee’s body and take it to the prison hospital. Doctors confirmed he was dead but, fearful of releasing toxic gas, declined to conduct an autopsy. 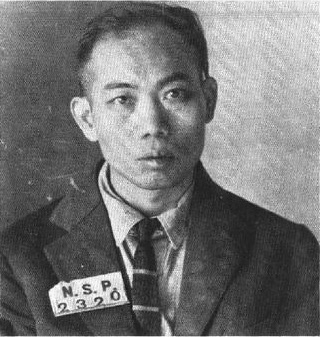 Gee was buried in the prison cemetery on a nearby hill. Public opinion varied widely. Nevada media thought the process was humane enough. Out-of-state press was not so kind. “One hundred years from now Nevada will be referred to as a heathen commonwealth controlled by savages with only the outward symbols of civilization,” declared the San Jose Mercury Herald in California. Warden Dickerson later wrote that the gas chamber execution was painless to Gee but not efficient, due to expense and the considerable potential for problems. Still, Nevada conducted another 32 gas-chamber executions until the state officially switched to lethal injection in 1983. Nine other states, including California, also used gas chambers. No states do now. Scott Dozier’s execution would take place at the Ely State Prison in Ely, 240 miles north of Las Vegas. That’s on the other side of the state from where Gee Jon committed his murder and was executed for it 94 years ago. It remains to be seen if Dozier’s departure will go any smoother.